New York City is home to many different neighborhoods and areas, each with their own history and excitement. One of these is "Little Italy". Where exactly is "Little Italy"? 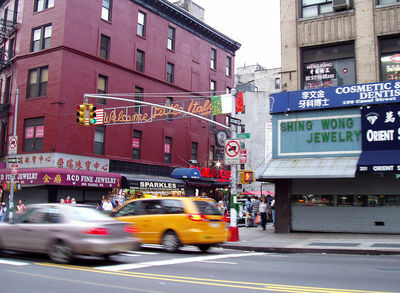 Mulberry Street is the "main street" of the area known as "Little Italy". This street is located in Lower Manhattan. The southern end of Mulberry Street starts at Canal Street and continues north to Bleecker Street. Lafayette Street marks the east starting point and Bowery Street marks the west ending point of Mulberry Street. The majority of shops and restaurants are located on Mulberry Street, but there are also things to see and places to visit on the side streets, which include Hester, Grand, Broome, Kenmare, and Spring Street. How much time do I want to set aside to visit "Little Italy"? This article is going to list enough activities and sights to see that you're going to want to spend an entire day in this colorful and interesting neighborhood. During this day, you'll visit old churches, authentic Italian restaurants and shops, and find out a little bit about the history of what was once a residential neighborhood in Manhattan. Little Italy" has a history? Yes, it does, and let's starts with that. That way, you'll have a better understanding of the neighborhood and area in general. "Little Italy" was once home to a large portion of the Italian immigrant population in New York City. Poverty and unemployment in the country of Italy had precipitated the move to America for most of the immigrants, and 68,500 Italians settled in New York between 1860 and 1880. As time went on, and New York City underwent changes, the area changed from mainly residential to almost completely commercial. Most Italian-Americans live elsewhere in New York City, but still call the "Little Italy" neighborhood home, mainly because they run or frequent the shops and restaurants that are now there. What am I going to see, and where am I going to eat? Start your day with breakfast. Remember, this is your day to spend as you wish; we're just giving you some ideas as to what to do. After breakfast, take the subway, bus, or cab to Mulberry Street, where it intersects with Canal Street. This is the "official" beginning of "Little Italy". From there, just start strolling along, stopping at anything that interests you. Make sure you visit Old St. Patrick's Church at 263 Mulberry Street. This was New York City's first Cathedral Church. This is still an active church, so please show proper decorum and respect when visiting it. Next, you'll want to stop in at the 22 shops that are located in "Little Italy". These range from jewelry to ceramic shops, to Italian food stores, to gift shops. Don't forget to go up the side streets, because some of the shops are located on these. Lunch can be from a street vendor or one of the many restaurants or cafes that line Mulberry Street. 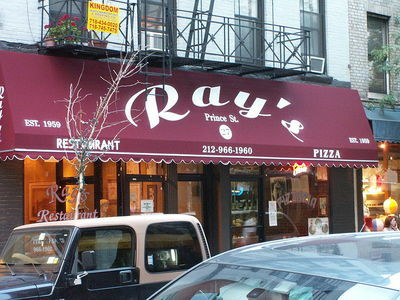 For dinner, try Casa Bella, one of the finest Italian restaurants in New York City or just for a slice, try Ray's Pizza.